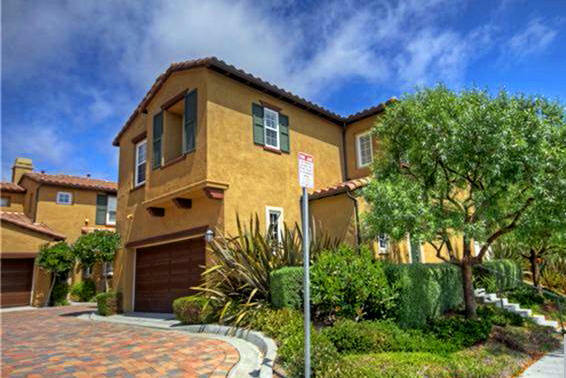 Talega is a great community up in the hills in San Clemente, with lots of ammenities like parks, clubhouse, pools and of course homes and condos to choose from. If you are looking to purchase a condo in Talega , there's plenty of options in the six condominium neighborhoods with distinct options that vary from each other. Most of them are townhouses or townhomes ( where you don't have anyone living above or below you), and some even have backyards as large or even larger than the homes in Talega. Read more about the Talega Condos Real Estate and the neighborhoods featuring them. Below you'll find all information about the current condos and townhouses listed for sale in Talega. For more information about any of them, contact us or give us a call at (949) 888-6788. If you would like to see all Talega Homes for Sale, follow the link for our Talega information page. Welcome Home to Alassio in Talega! This home has been lovingly updated and showcases new grey laminate flooring and new designer carpet. The large and bright kitchen features white cabinets and granite counters with a breakfast bar. The main level living room has a gas fireplace and sliding doors leading to an outdoor patio to enjoy the sunsets and outdoor cooking. Main level bedroom, full bathroom and laundry room complete the main level. Live each day like you’re on vacation in Trinidad of Talega! Enjoy a resort lifestyle from this meticulous, private 2 bed/2 bath carriage unit with no one above or below. An open floor plan welcomes you into 1388 sq. ft. of bright, sun-filled space that extends to an expansive deck. Entertain in your gourmet kitchen featuring stainless steel appliances, rich wood cabinetry, granite counters, a spacious walk-in pantry and storage galore. When it comes to the Talega Condos Real Estate, the options are diverse. The condo communities were spread around Talega giving each neighborhood something particular to it. All the condo communities in Talega will have two HOA ( Home owners associations) where one if for the Talega overall community, and the other one is for the condo community itself. The second HOA fee is the one used for the maintenance of the complex, insurance, pools that are particular to the condo community and green areas. Looking for a condo in Talega in a specific neighborhood? Alassio: Alassio and Santalana are part of the 'Village' with a spanish look to them and an ideal location walking distance to the center of the Talega Village, or to the entrance to the Golf Course and Clubhouse, and Vista Del Mar school. Both neighborhoods share two sets of a private pool, spa and barbeque area, and there's also a tot park. The Alassio floorplans are a little smaller in size than Santalana, and are ideal for those looking for 2 to 3 bedrooms, anywhere from 1200 to 1600 sq ft, some of the five floorplans offer decks and balconies or the largest floorplans offer small patios. Built around 2004 (some earlier, some later), most of the condos offer upgrades like granite counter kitchens, stainless steel appliances and nice floors and carpets. Some Alassio condos have great hills view, and some lucky ones, even have ocean views. Carmel: Many would say these are the most luxurious condos in Talega, with a great location where many condos back to the Talega Golf Course and so the views are magnificent. These condos are also larger in size which is rare for condos, ranging from about 2000 to 2300 sq ft, and many offer something hard to find in Talega: a single story home. There's one community pool and spa area for residents of Carmel and also their location make it easy for those looking for the hiking trails or access to the Village. Santalana: part of the Village with the Alassio condos, the Santalana development offers something unique for the condos: nice 'fenced' backyards. Also many Santalanas are located sorrounding a hill top, offering ocean views, and some also back to the golf course, therefore getting those nice green views too. Most of them are nicely upgraded with granite counters kitchen, top of the line floors and custom cabinetry. The floorplans approximately range from about 1200 to 1900 sq ft, and three bedrooms and two car garages. There's one floorplan that is a single story, the other four and two story designs. Trinidad: these condos were the first built ones in Talega and are located in the back of the neighborhood ( off Avenida Pico and Camino La Pedriza), with really easy access to the Talega park off Cristianitos, and all the ammenities that the park offers.All the floorplans here offer two car garages and are two stories design, and range from approximately 1300 sq ft to about 1900 sq ft offering two to four bedrooms depending of the floorplan. Verano: the newest condo community of Talega, the Verano condos are known for having some where their backyards are larger than those that the homes in Talega have. There's three floorplans to choose from, with approximately 1200 to 1750 sq ft, one and two story designs and all of them offer two car garages. Many of the condos have balconies, and the community hasd its private pool and spa. Ideal location close to trails and overlooking a canyon, many of these condos are some of the lowest priced in all Talega, and due to the high rent market in the community, these are also ideal for investors. The new Vista Hermosa Sports Park is located very close to the Verano condos and the really easy access to La Pata and Vista Hermosa makes them ideal for the conmmuters. Seagarden: the only condo complex in Talega that was designed for the senior community and part of the Talega Gallery (55+ adults), the Seagarden condos offer single level floorplans that are larger than the condo standards, with floorplans ranging from about 1600 sq ft to 2000 sq ft, three bedrooms and two car garages. They enjoy all the benefits of being part of the Gallery, and its clubhouse, pool, spa, and fitness center. If you need any more information about any of these Talega Condos and townhouses, please contact us. 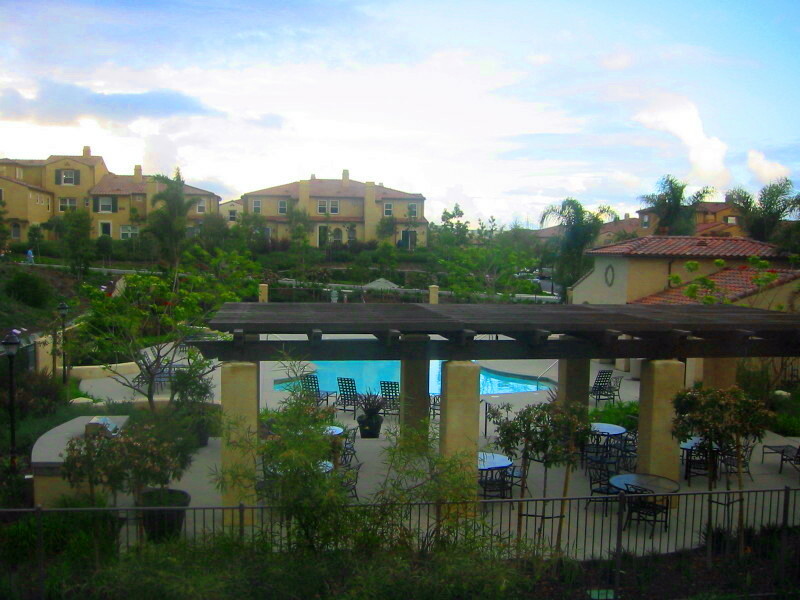 OCExecutives specializes in real estate transactions of Talega Condos and Townhouses in San Clemente, California. Contact us today to sell real estate or buy real estate in the different communities of Talega or for more information about any of these homes. If you would like to see a list of homes in other communities in Orange County, follow the links above, or click here for other San Clemente Real Estate options. We are licensed Realtors ® in Talega.